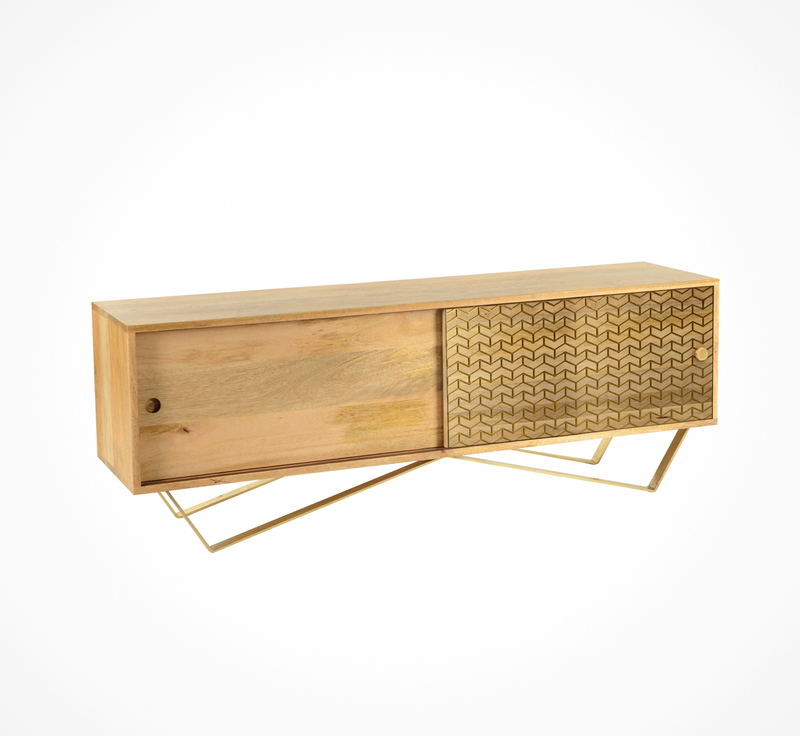 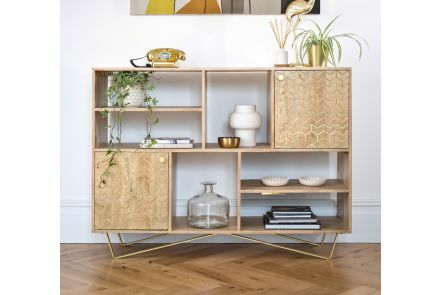 The Shilp TV Cabinet is a contemporary and modern piece from the Zephyr Collection, made from certified FSC timber. 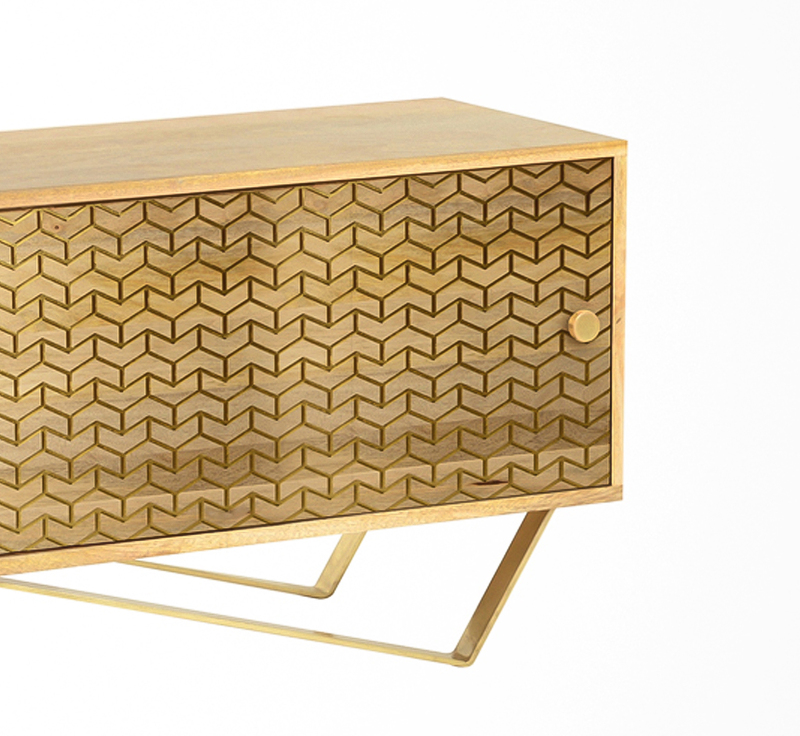 This collection is design-led with it's stunning fresh and vibrant appeal. 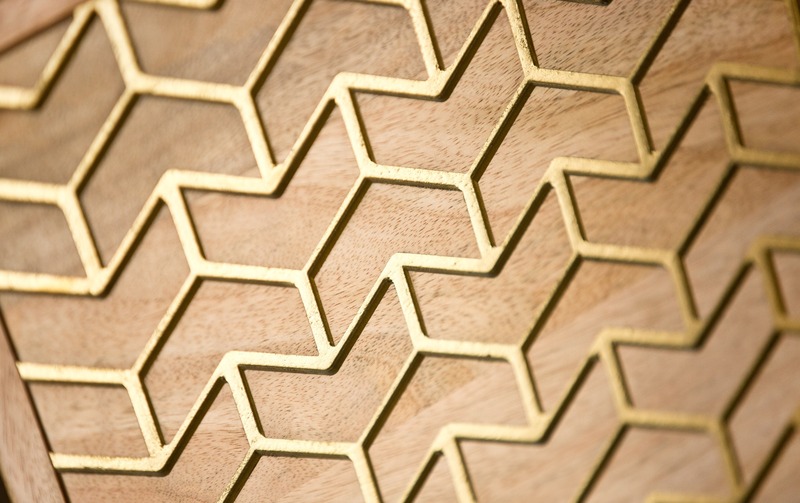 Each piece is handmade following the same tradition you'd expect from Little Tree as well as using lasers to create a geometric pattern. 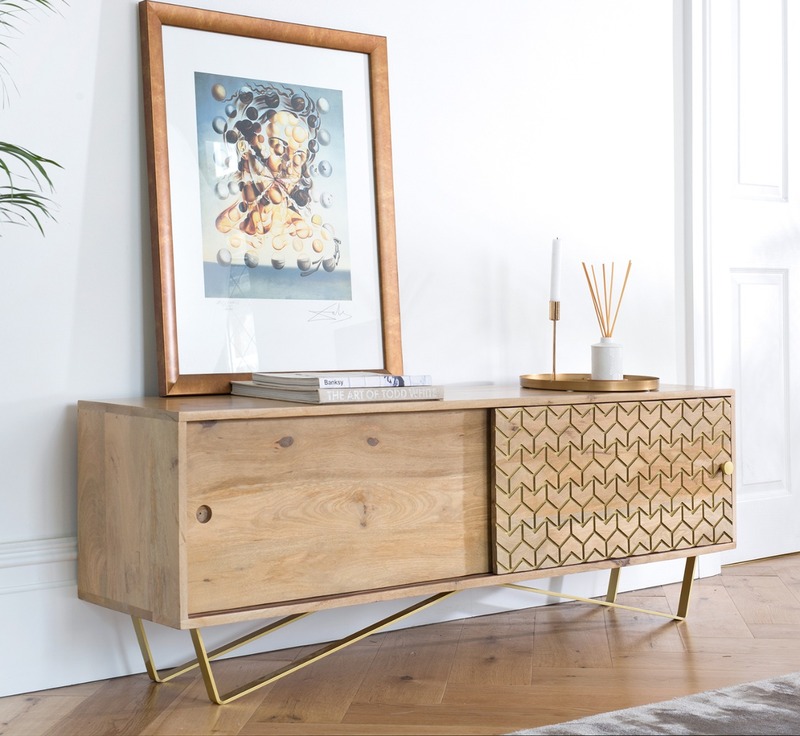 The Shilp range beautifully integrates gold metals with the warm-neutral tones of natural up-cycled wood, the collection will effortlessly adds modernism and sophistication to any home.